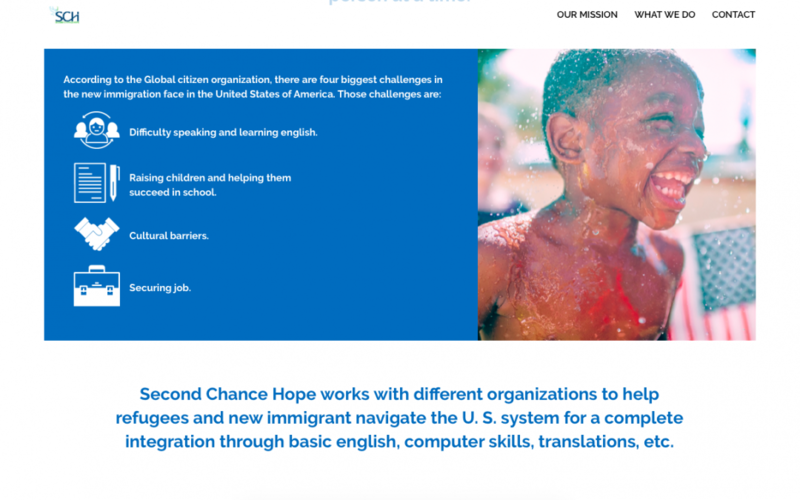 Second Chance of Hope is a non-profit organization located in Denver, Colorado, with the objective of helping refugees secure job and education in the United States. The team of Vortex Software helped SCH build their website, where they could show all their information and how they can help all refugee coming to the United States. Do you need any help with your project? Contact us today!